This is a truly remarkable human story, which is why it gets four stars despite a couple of significant issues. Many non-fiction literary agents have a mantra of 'Is it an article?' for a book proposal that really hasn't got enough content to justify a full length manuscript. 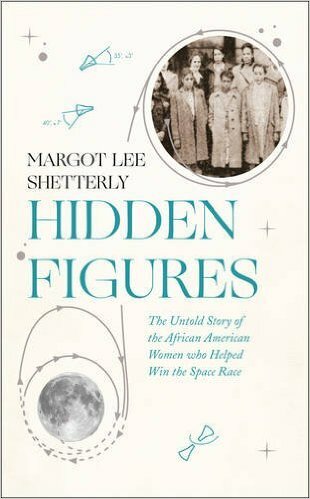 The story of Hidden Figures would have made a superb 3,000 word article, but stretched to book length it does become extremely repetitious. The other problem I had was that I was sold this title as popular science - if the book had included science content it could have been far more engaging, but the author clearly has no interest in science or maths and skims over any technical issues as quickly as possible - what remains is pure social history. Despite that disappointment I can only say in awe again, what a story! If you are familiar with the history of science you will know about the human computers, often women, who worked in astronomy and who were the engine behind significant astronomical discoveries. In Hidden Figures we meet the African American female mathematicians who worked hidden away in the US aerospace industry. This narrative is so remarkable because these women overcame a perfect storm of opposition. Not only were they female, they were black. Not only were they black, but they were working in Virginia, a Southern state whose white community appeared to resent the abolishment of slavery and fought to maintain as much segregation between blacks and whites as possible. As an example of the way that maths and science are given short shrift, the topic of Reynolds numbers is brought up at one point. Sounds interesting - what's that all about? I've no real idea. All we are told about Reynolds numbers is that it was a 'bit of mathematical jujitsu '. I'm giving this book four stars because of the remarkable story and individuals involved. Treating the book purely as a social history title it only deserves three, as the writing isn't particularly engaging, and as popular science it only should get two. But put those concerns behind you and celebrate the work of these individuals.